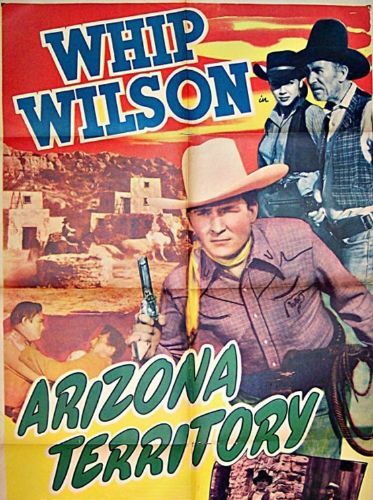 Whip Wilson, Monogram Pictures' clone of PRC's bullwhip champ Jack LaRue, stars in Arizona Territory. Wilson plays the pal of US marshal Andy Clyde, who is kept busy tracking down a counterfeiting ring. Wilson goes undercover to get the goods on the bad guys. When all else fails, he flails-his whip, that is, a total of four times in this 56-minute western. Veteran sagebrush scenarist Adele Buffington pulls a few old chestnuts out of the fire to flesh out the plotline of Arizona Territory.